UNIONTOWN – With the two JV doubles teams from 2009 staying intact and moving up to varsity in the same slots and two veterans among its singles triangle, Green’s tennis team is looking toward the familial, experienced and consistent as the formula for winning matches this spring. Senior David Kozy, now in his third year on the varsity, will play No. 1 singles after posting an 11-8 record last season. Playing No. 2 singles will be second year varsity guy Scott Glasgow, who registered a 13-3 mark in the 2009 campaign. Seeing limited varsity play last year were seniors Brian Rankine (2-2 in 2009) and Anthony Wnoroski (3-2); who will pair up and play 1st doubles. Also moving up are junior Aaron Hicks and sophomore Nick Lee, who will play second doubles together. Sophomore Alex Plum will play 3rd singles. Brody Miller (Jr.) and Joe Campbell (Soph.) will also get some varsity play at 2nd doubles. On the down side, Green graduated 5 seniors from the 2009 varsity outfit so the remainders and the younger lads moving up will be challenged to fill that range of depth. Green continues to play a strong schedule against some of the best D-1 teams and parochial school teams in the area in its non-league events. The Bulldogs have a 20-match schedule, not including its Ohio Tennis Coaches Assoc. tournament play. Despite losing five starters to graduation, Green should still be a league contender in the SL. Perhaps it will take only some slight adjustments. “The singles players just need to play consistently at the level they are capable of playing; and doubles teams need to play aggressively and communicate well,” Hicks said. Academically, Green is also sound and what it might lack in experience it can make up for with the mental focus to learn from mistakes and made adjustments accordingly through the course of the season.. The history of Green’s Student/Athletes is relatively impressive, especially in the tennis program. Every year the tennis program has seniors that are graduating in the top 10 percent and/or with 4.0+ GPAs. To some extent, this is why the program has have not had any players play at the college level since most go on to D-1 universities or just want to focus on their academics. “The high performance in the classroom definitely transfers to the tennis court in the form of leadership, commitment and focus,” Hicks said. 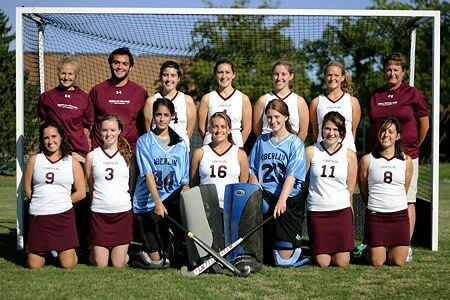 Chandler, Ariz. – Six Oberlin College field hockey players in addition to the entire team were recognized by the National Field Hockey Coaches Association (NFHCA) for academic excellence this past season. Junior Natasha Cohan earned her second straight award that honors student-athletes for recording a minimum GPA of 3.30 during the fall semester. 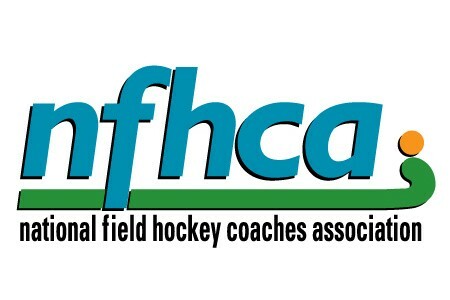 SeniorHannah Lindner-Finlay , and first-years Kiran Puri , Maura Liebendorfer ,Danielle Jungst , and Jessica Kincaid join Cohan on the NFHCA All-Academic Squad. The Yeowomen also garnered team accolades for posting a minimum team GPA of 3.0, marking the eighth time in as many seasons that Head Coach Deb Ranieri has mentored her team to this prestigious award. Oberlin will take part in its non-traditional spring season in the coming weeks as it prepares to return to action this fall. BEREA -- The Baldwin-Wallace College women’s tennis team defeated NAIA foe Walsh University, 5-4, today (Friday, March 25) inside the Lou Higgins Recreation Center in Berea. The match was a make-up which was originally scheduled on Tuesday. With the win, B-W moves to 5-7 overall, while Walsh falls to 5-6. Walsh took a 2-1 lead after doubles play as the B-W tandem of junior Katy Marshall (Medina/Senior) and senior Andrea Essig (Conneaut/Ashtabula Edgewood) won 8-5 at third doubles. In singles play, B-W won four of six matches to earn the victory. Junior number one player Caitlyn Pecinovsky (Columbus/Bishop Hartley) and freshman No. 3 Rebecca Mittler (Elyria/Catholic) both won in straight sets. Junior Emily Pelosi (Uniontown/Green) earned a hard fought win at No. 4 in a third set super tiebreaker by a score of 6-3, 3-6, 1-0 (10-7). With match tied at 4-4, the only match left on the court was at No. 6 singles and Marshall clinched the victory for the Jackets with a 6-0, 7-6 (8-6) win over Walsh’s Julia Kole. B-W returns to action tomorrow (Saturday, March 26) as they travel to Columbus for an Ohio Athletic Conference match with Capital University at 1:00 p.m.
FOR MORE B-W Sports Information, please contact Sports Information Director Kevin Ruple by telephone at 440-826-2327 and e-mail atkruple@bw.edu or Assistant SID Nick Minerd by phone at 440-826-2780 and e-mail at nminerd@bw.edu. Fans can access the latest B-W athletics information at www.bw.edu/athletics and we invite you to join us on Twitter at http://twitter.com/bwathletics. GRAFTON – With three of the four chief regulars returning to the starting lineup, Midview should at least have a nucleus of experience upon which to build to compete for decent positioning in the West Shore Conference tennis race this season. The only drawback to that is lack of senior leadership since all three are juniors. “They enjoy their time on the court and have positive attitudes,” said Midview coach Michelle Dukeman. “As long as we stay healthy, we should be competitive. Leading the “veteran” group are 11th graders Patrick Geyser (two varsity letters in tennis) who will play singles and Mat Renuart and Josh Counts, each of whom have earned one varsity letter and will play doubles. Those expected to fill the other spots are junior Tom Hendrix, freshmen Kevin Grau and Brad Schmidt, and sophomore Jesse Fleming. The lack of experience can be attributed to the dropping of the JV program due to the high-cost of pay-to-play in the district. After decades-long tennis powerhouses Bay and Rocky River an the up and coming and rising Avon group, fourth place and beyond is up for grabs in the WSC. Geyser will move up to 1st singles and playing 2nd last year and Renuart will move up to play 1st doubles after he played 2nd last year. Counts will team with Renuart. Tiffin – March 26, 2010 – Heidelberg University* Director of Athletics *Matt Palm* announced this afternoon that eighth-year head wrestling coach *Jason Miller* is stepping down from the helm of the program. Miller will continue to serve as the head volleyball coach and associate director of athletics. The announcement of Miller’s decision to step down coincides with the appointment of *Nathan Shearer* to the head coaching position. Shearer joined the wrestling program at the start of the 2009-10 campaign as an assistant coach. Before coming to the Berg, Shearer was an assistant coach at Ohio Northern University from 2005-09. He is a graduate of ONU, where he was a member of the OAC Regular Season Championship team in 2002 and also made an appearance at the NCAA Championships. Since Miller took over the program during the 2002-03 season, the Berg has never landed lower than third place in the league standings. He departs with a career record of 82-44 and a 37-11 mark in the OAC. He has guided the Berg to three of the last fiveOhio Athletic Conference Regular Season Championships (2006, 2008, 2009) and five consecutive OAC Tournament titles (2006, 2007, 2008, 2009, 2010). Miller has coached 23 OAC champions en route to picking up the league’s Coach of the Year award for the last five straight seasons. Heidelberg has been a mainstay in the national rankings over the course of Miller’s tenure. He has coached 26 national qualifiers, highlighted by a program-best six qualifiers in 2009. In 2006, Joe Pflug became Heidelberg’s first national champion on the mat, winning the 157-pound crown. Miller has coached six All-Americans, the most recent winner being this year in 157-pound runner-up Zach Mizer. Not only did Miller demand dedication on the mat, but in the classroom as well. He has coached five teams that have ranked in the top 20 nationally for their academics. Four of the teams, including the last three years, have posted a top 10 ranking. There have been 23 Academic All-Americans during his tenure, led by a program-best six in 2010. Miller will continue to guide what has become a national-caliber volleyball team at the Berg over the course of the last 10 seasons. In 2010, Miller led the Berg to its first outright OAC Regular Season Title and an appearance in its third straight NCAA Regional. He had two All-Americans, four all-region selections and five All-OAC performers this season. For his efforts, he was tabbed the OAC Coach of the Year for the second time in three years. In the classroom, the volleyball team had its first Academic All-American, two district honorees and a program-best six Academic All-OAC selections. BEREA -- The Baldwin-Wallace College men's golf team ranks fourth of nine teams after day today (Friday, March 26) of the 2010Muskingum University Spring Invitational Tournament at Eagle Sticks Golf Course in Zanesville, Ohio. The second and final day of the tournament tees-off at 10:45 a.m. tomorrow morning. The Yellow Jackets battled wet and windy conditions to shoot 312 as a team on the par-70 and 6,508-yard course. Junior Matt Weiss (Concord/Mentor) led the way for B-W with an opening round 76 and senior Mike Falk (Strongsville) was second at 78. Senior Nick Bryan (Zanesville/ Rosecrans) and sophomore Ricky Jaskolski (North Royalton/Parma Padua Franciscan) each shot 79 to round out the Yellow Jacket scoring. Freshman Stephen Spalding (Stow/Walsh Jesuit) was fifth with an 81. Competing as individuals, junior Brian Routhieaux (Gibsonia, Pa./Mars Area) shot 79, senior Cory Swaisgood (Fremont/St. Joseph’s Central Catholic) shot 81 and sophomore Kyle Lewis (Riverside, Calif./Riverside Poly) shot 89. Following tomorrow's round, B-W is idle until Saturday and Sunday, April 10-11, at the Denison University Ted Barclay Invitational at Granville Golf Course in Granville, Ohio.